A ringing smoke detector is always a serious matter. This is true during a real fire emergency. It’s also true if the smoke detector malfunctions. After all, a security measure so serious should be working properly at all times. There are times when a smoke detector seems to go off for no reason. One of these times is when it gets cold. The reason might be surprising: batteries don’t operate at optimum performance when they are very cold. This explanation proves why a smoke detector goes off in cold weather or a cold home. If the temperature drops, the battery in the smoke detector has a more difficult time keeping it working. 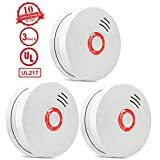 When batteries are low, in a smoke detector, the smoke detector usually beeps every few minutes as a signal that the batteries are low. There is another time the smoke detector might go off in cold weather. It may seem like a false alarm. However, the alarm might actually be signaling that something serious is happening. Some smoke alarms double as a carbon monoxide detector. If it’s not the batteries, it could be carbon monoxide! The presence of carbon monoxide is obviously more serious than low batteries. Even if it’s warm inside, it’s easy to see, now, why the smoke detector might go off if it’s cold outside. Reset the power breaker if the smoke detector is hardwired. Purchase a carbon monoxide detector which shows CO levels. Verify there is no dust or debris inside the smoke detector. Contact the manufacturer if the problem persists. Fire safety is a fundamental part of home safety. 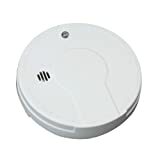 At Protect America, we offer home security solutions to include smoke detectors. Our smoke detectors are monitored, which gives an added level of protection. Contact us to learn more about how our smoke detectors would be a great addition to your home security plan. 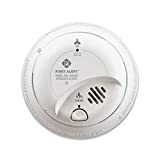 During your call, you’ll get a free quote for our smoke detectors and any additional products you might be interested in.